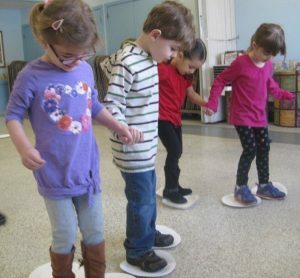 This week our preschoolers arrived at gym class to discover they were now Olympic athletes. 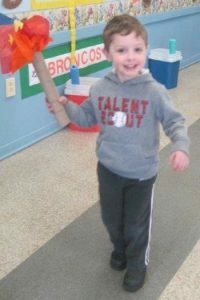 Each child ran and carried the torch around Fellowship Hall and then it was time for the games to begin. 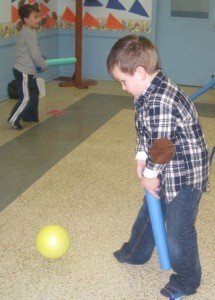 There was a ski run and they played hockey (with pool noodles and ballons). 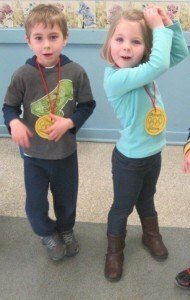 At the end of the games, all were awarded special "gold" medals.